Hershey attracts local members to the big one! Billed as the largest old car swap meet in the world, it can be characterized as the Mecca of the old car hobby. Early six-cylinder Chevys cruised on the backroads of California & Oregon. Celebrating 100 Years of Chevy Trucks! Going, going, gone! VCCA-CRR had a table at the car auction. Hooray for Hollywood! An experience we’ll not soon forget. The 46th Northwest Regional Meet drew an outstanding array of Chevrolets from throughout the Northwest and Canada. 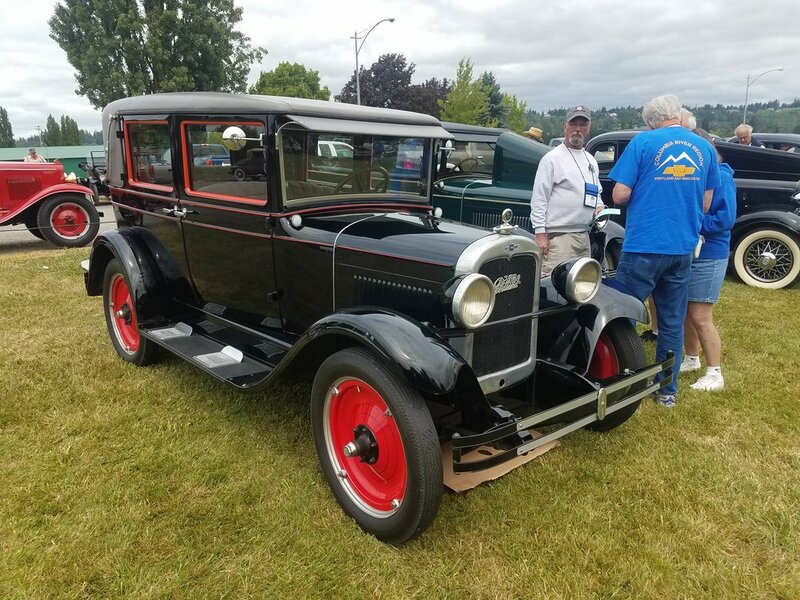 Fifteen Columbia River Region members participate in this year’s western four-cylinder (1928 and earlier Chevrolets) tour. VCCA members from eight states meet in what’s called Utah’s “Little Switzerland” to tour their Six-cylinder Chevrolets (1929 to 1954). The VCCA's 55th Anniversary Meet brought members (and cars) from across the US, and around the world.